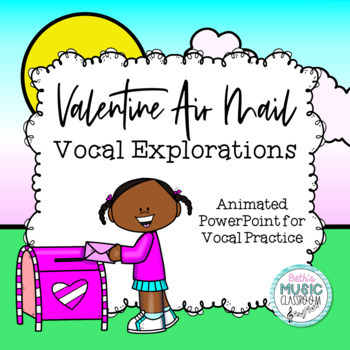 This is an adorable Valentine's Day Vocal Exploration activity. 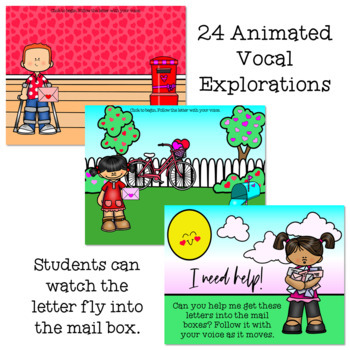 Students can explore melodic direction and ways to use your voice. Help the envelope get all the way to the mail box. With the animated slides, students watch and follow with their voices the direction of the path from the letter to the mail box. *This file is in PowerPoint. Please be sure that you able to open this kind of file. 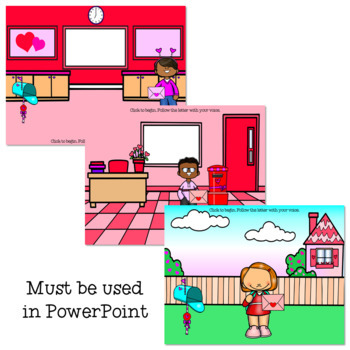 Want to earn TPT credits to for a future purchase? Just leave feedback on your ‘My Purchases’ page for each item. I’d love to hear how you used this product in your classroom. Also follow me for new products, sales, and freebies.